I thought this book might me a bit of a gimmick. An entire book based on one type of flour? Seriously? After reading the introduction, and hearing the author’s story of how she came to embrace using this grain, I can’t entirely discount it. I am lucky in that, as far as I am aware, I don’t have any food sensitivities – my restrictions are purely based on choice, but the Author tells the story of how her daughter developed allergic symptoms to certain foods very early on in her life, chronic cough and asthma, hair loss, recurrent bouts of tonsillitis….. Somehow they thought to try using Einkorn flour… and the symptoms all but disappeared. Einkorn is one of the most ancient species of wheat, passed over for commercial production because of it’s low yield and tricky growing conditions, but retaining higher protein and other nutrients than modern commercial strains. Because I am a nerd, I really enjoyed reading all about the background to this grain, which included genetics and analysis of the protein content. Einkorn flour is a little tricky to get hold of. As mentioned above, few farmers grow it for commercial sale (Dove’s Farm in the UK sell it, and also the Author’s company Jovial Foods in the US), but I bought a bag so I could test out a recipe. 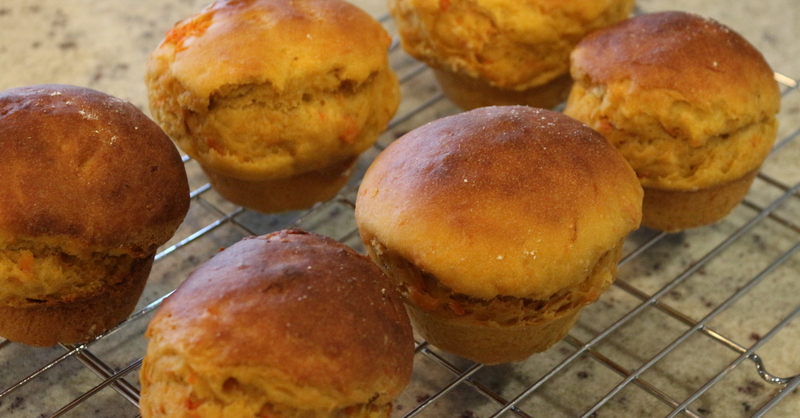 These are the Sweet Potato Rolls, I baked them in a muffin tin to make the dough slightly easier to handle and shape. 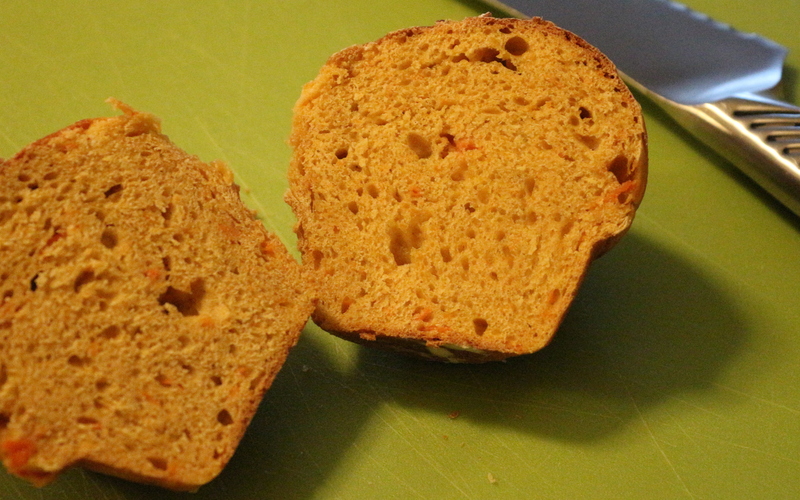 The bake was slightly denser than regular bread, but this may be due to the presence of the mashed Sweet Potato in the dough. It came out quite delicious. The recipes are divided into: breads and crackers; quick breads and breakfast; cookies and cakes (I want to try the Brooklyn Blackout Cake); pies, tarts, pastries and pudding; pizza, pasta and savory main dishes; and street food. The recipes are varied, reflecting the author’s american upbringing but italian roots, but of course to make them involves tracking down a whole lot of Einkorn – berries, wholegrain flour, and all-purpose flour. 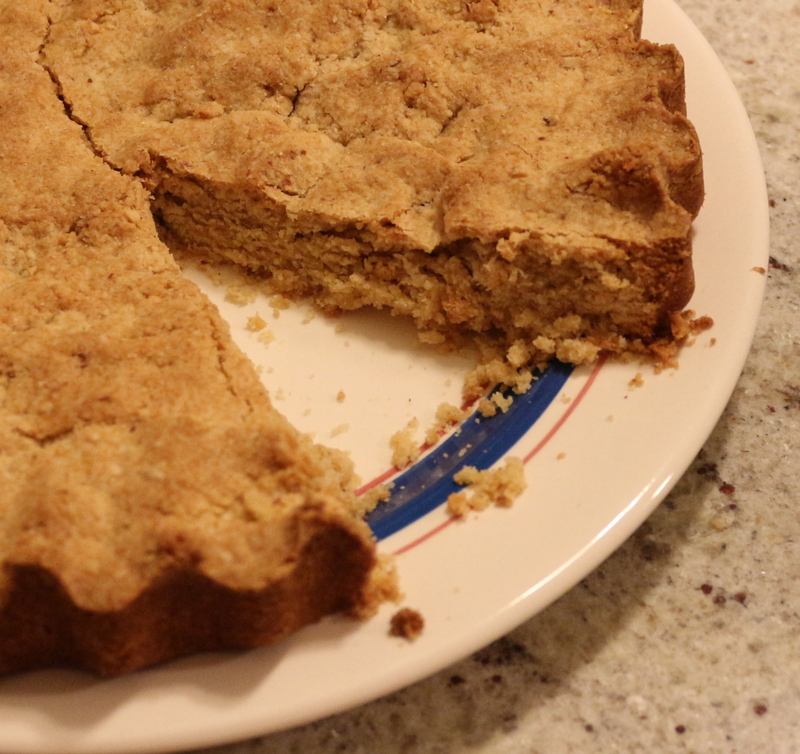 As stated above however, I made the Almond Crunch Tart with regular flour and it came out just fine, so I suspect it would not take a lot of tweaking to make most of the recipes with regular flour, for those who are not sensitive to it. 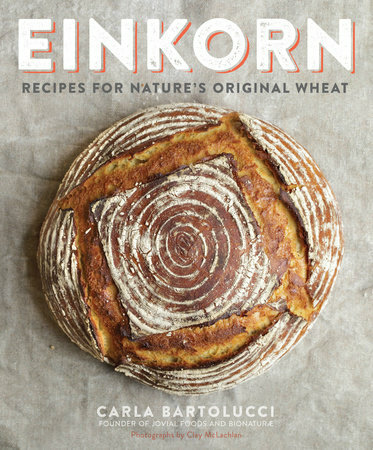 All in all, I can’t speak for the benefits of Einkorn flour claimed for the gluten sensitive, but it is a good book with a variety of recipes, plenty of pictures (which I like), and lots of added detail and information. ← You there. You get a Gold Star!